Udupi, Aug 9: The Special Investigation Team (SIT) of Karnataka police set up to investigate into the murder of Journalist-activist Gauri Lankesh, have taken into custody two people from Padubidri in Udupi District of Karnataka today. 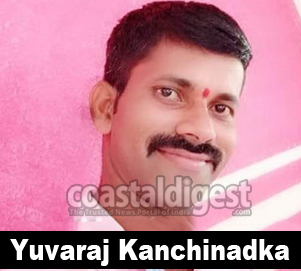 Sources said that the arrested were identified as Sandesh Shetty Padebettu and Yuvaraj Kanchinadka who are said to be members of right wing organisation Hindu Jagarana Vedike. On definite information the SIT team left here and took the two into custody from their respective houses. On Wednesday, the team had taken into custody a hotelier from Belagavi for questioning. It was alleged that the arrested was an active member of Shiv Pratishtan Hindustan, another right wing organisation led by Manohar alias Sambhaji Bhidhe of Maharashtra.